This week we not only welcome more new music to the station, but a new host to The Home Stretch as well! Global Express (7:20am) No Te Va Gustar, Por Lo Menos Hoy (Nacional). One of Uruguay's leading rock bands, this group sells out stadiums throughout much of South America. 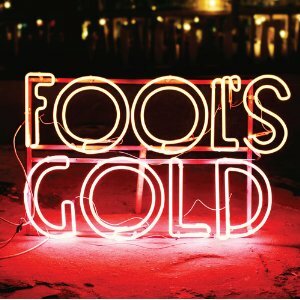 Featured Album of the Week (8:20am) Fool's Gold, Leave No Trace (I Am Sound). African influences blend seamlessly with 80s pop and indie pop on the group's 2nd album. Over on The Home Stretch (Mon-Fri 3pm to 6pm), new host Carol will be featuring Robert Earl Keen's Ready For Confetti (Lost Highway) as her National Pick of the Week at 5:30pm while celebrating recent TAMMIES winners for the Local Pick slot each day at 3:30pm.